BANGKOK, 24 February 2016 (NNT) – The Cabinet has approved the extension of the work permit for foreign nationals to two years while giving employers four months to bring their workers to apply for the document. 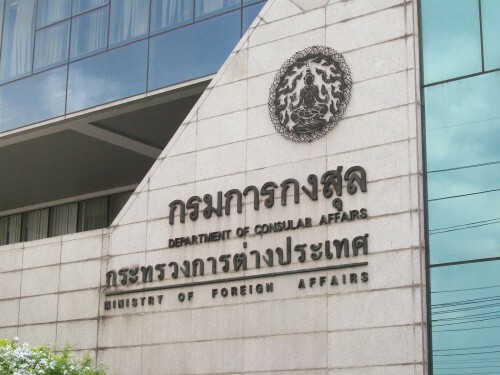 According to Director-General Arak Prommanee of the Department of Employment, the Cabinet approved the proposal made by the committee in charge of foreign labor management policies to have the life of foreign workers’ temporary work permit, or the pink card, extended from one year to two years, National News Bureau of Thailand reported. As a result, workers whose permits will expire on March 31, 2016 will be allowed to stay in the Kingdom for two more years, pending the nationality verification process. To apply for the new permit, employers will be required to take their foreign employees to report themselves at registration spots designated by the Department of Employment within 120 days from April 1. The Cabinet also assigned the Department of Employment to adopt regulations in support of the permit extension within 120 days, with consideration to be given to the prevention of foreign labor shortage, national security, prevention of permanent residency, assurance of workers’ protection and establishment of an efficient management system.